Right now I am ‘recovering’ from many projects over the last several years. In the past three years I wrote my first adult romance, mystery novel: Next Year in Jerusalem! now renamed Around Every Corner Romance & Mystery… I also revised my book The Truth (I’m a girl, I’m smart and I know everything) and sent it off to be published July 1, 2014 by Sky Pony Press. 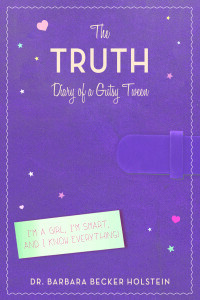 The new title is The Truth, Diary of A Gutsy Tween. Also in the past year, I have written two different versions of a play titled The Locket, which is based on The Truth. The play has been performed as a work in progress twice in Asbury Park. Can you see that I may need some time to just chill out? And I am trying to take it each and every beautiful day that we have at the Jersey Shore. Oh, but I can’t rest too much. Secrets: You Tell Me Yours and I’ll Tell You Mine… maybe, the second book in The Truth series, in which the girl is a year older, but not necessary a year wiser, is due at Sky Pony Press very shortly. I’ve already started revising it. Tomorrow, let’s see….what is the weather forecast? I guess that will determine what gets done on Secrets. This is such an interesting question. 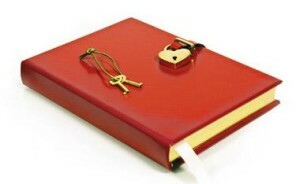 Of course there are other diary books out for girls and tweens and even boys. But the difference between mine and say a series like Diary of a Wimpy Kid, is that The Truth, Diary of a Gutsy Tween, has been written by a positive psychologist (that’s me!) and every page is designed to encourage positive thinking, resiliency, positive self-regard, hopefulness, optimism, a recognition and valuing of one’s talents, strengths and potential, and much more. Every page can be used as a separate guidance lesson if one wished to. 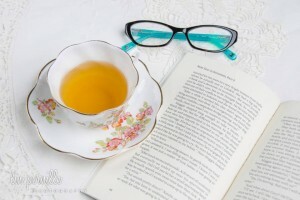 At the same time, the book is a page turner in its own right and kids enjoy the quick, easy read as they would any other really good fiction. I write what I do because I am passionate about building kids up and helping their parents, teachers, grandparents, etc. better understand what kids feel and think. This is my life work and to find a way to weave it into drama has been an added gift! 4) How does my writing process work? And now I am going to pass the baton to our next blog tour author who you will find at: http://monaberman22.wordpress.com/ Here is a little about Mona: MONA BERMAN was born, bred and lived in Johannesburg until 2010 when she made Aliya to Israel. She has four degrees, four daughters, many grandchildren and now great-grandchildren in Israel. Her writing life began in earnest with the publication of a work of non-fiction Silence in the Fiction of Elie Wiesel (2001), two works of fiction, E-mail from a Jewish Mother (2002) and E-mail from a Jewish Grandmother (2008), a memoirRemembering Irma – Irma Stern: A Memoir with Letters (2003) and Serendipity in my Seventies (2012). We all hope you are enjoying moving from one blog to another and learning more about how each of us create our written works! I am very excited about this real life interview with a budding poet and fiction writer. Ally is a student at the Manasquan School in Manasquan, New Jersey. I had a chance to meet Ally when I went to talk to Girl’s Club at the school about being a writer, as well as a psychologist and sharing my first book in The Truth Series, The Truth (I’m a girl, I’m smart and I know everything). Since then Ally has shared with me many of her writings and poetry. I am very impressed. She speaks from the heart with eloquence, spirit and humor. I hope she goes very far as a talented writer and poet. Enjoy our interview! 1. When did you become interested in writing poetry? I became interested in writing when i was young but then forgot about it and put it aside for the 1-4th grades. In fifth grade i was praised by my teachers and started writing again. Then in 6th grade i put it on hold for the summer. This was the first year i truely found my calling. 2. Can you remember your first poem? Can you share it? 3. How do poems come to you? 4. When did you start to write other forms such as fiction? 5. Can you share with us one of your favorite poems that you wrote? 6. Are there adults in your life who have encouraged and helped you on your writing career? Who were they and want did they do for you? Yea there are many adults who have encouraged me and helped me. My teachers Mrs.McWilliams and Mrs.Kim- they both taught me what i needed to know and encouraged me to go out there. My principal Mrs. Carlolson has been supportive of my writing and funded my classes. My friends Alice and Tess(even though they aren’t adults) have proved to me that i am a really good writer even when im hard on myself and have inspired me. My best friend Griffin too. He was there to read my writing and encouraged me to go out there and not care what people think. You, Dr.Holstien have encouraged me the most and have helped me truley go for it. I’d like to thank them and you for all the help and encouragement. 7. What advice would you give another young person interested in writing poetry or fiction? If your interested in writing then go for it. If its a passion and you live and breathe it then your on the write track. If its your passion then just go for it submit your writing to publishers like Teenink.com ( i have a subscription to they’re magazine) where they publish everything imaginable. Show your teachers and get yourself known. Develop a portfolio and look at those old notebooks because there may be some gems in there. And most of all don’t care what people may think is weird or strange about your writing you’ll be surprised. 8. What are some of your dreams for your writing? Some of my dreams for writing are to become an author and speak to kids around the country-maybe even world. I have always wanted to have my own colum in the New York Times. I’d also like to become has famous as Robert Frost or Edger Allen Poe. “Power Women Magazine is an online publication about women by women for women and issues important to women worldwide. We network to stand in one voice for not only ourselves but for women who can not use their voice. We tackle all issues with the government, state and local communities as well as worldwide groups through our own means or via non profit organizations whom we have partnered with to make that stance. Our Issues range from equal rights for all women to issues of homelessness among women, and everything in between. Please let me know how you enjoyed it! !